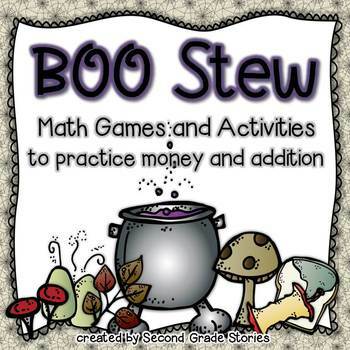 Addition and Money ~ Boo Stew: Great for Halloween or any time of year. These sets of activity cards can be differentiated in so many ways! 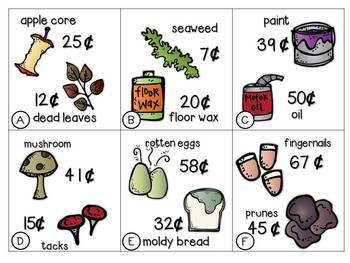 Use the cards to match coin amounts and prices, to compare amounts, to create and price your own stew and more. Skills include addition of one and two-digit numbers (some involving regrouping), comparing amounts (with sets of coins and numerical prices), adding coin amounts and solving problems using money. 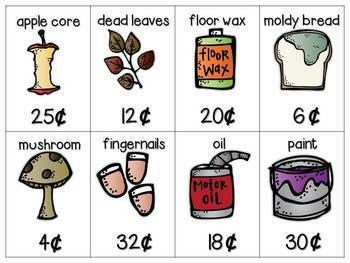 These activities can be used with younger students just beginning to learn about money and addition, or with older students who have had more experience. 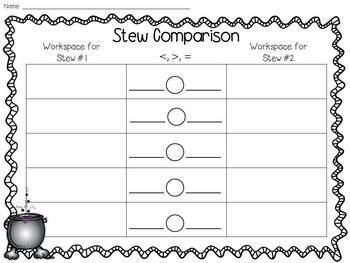 You decide which cards each student gets so everyone works at their level. Take a look at the preview to see some of what is included in this set.